You are here: Home › Salut competition › Guess the Score › SAFC vs Burton Albion prize Guess the Score: a mere battle for second bottom? 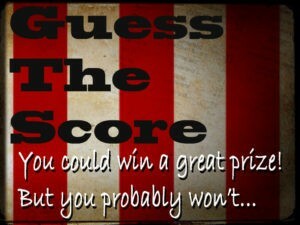 SAFC vs Burton Albion prize Guess the Score: a mere battle for second bottom? First of all, let Salut! Sunderland add its tribute to the supporters who have put up with this season’s woeful absence of quality, commitment and results and attended games week after week. Almost as a further act of torture, the mathematical possibility of survival cannot vanish altogether if SAFC beat Burton Albion in what otherwise looks little more than a case of who avoids bottom place. And if two out of three – Bolton (home to Wolves), Barnsley (away to Leeds) and Birmingham (home to Sheff Utd) – were to lose this weekend, a win for us would keep a weak flame flickering. It’s more complicated than that, with three possible relegation sides battling for points and Barnsley also having their game in hand at Forest on Tuesday, but that about sums it up. It’s also the stuff of flying pigs. Bolton and Birmingham only need to draw and SAFC to lose for us to be down whatever happens to Barnsley. But rejuvenated by a holiday on Rhodes, where I overcame the limitations of age to do my bit in a three-a-side victory, I can confirm Guess the Score remains a prize competition until the end of the season. A suitably designed mug goes to the first person to post the correct scoreline, before kickoff. 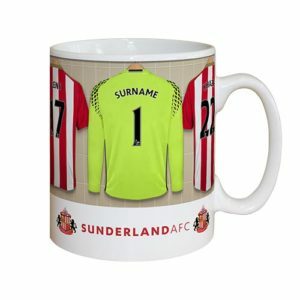 The winner can support SAFC, Burton or anyone else but must have a UK delivery address. The first entry is the automatic one – our returning Burton “Who are You?” interviewee Dave Child. He loyally goes for a 1-0 away win which, depending on results elsewhere affecting the other Bs at the bottom, would send us down without further ado. Sunderland 3 – 0 Burton, candle in the wind. We won’t win. I’m going for 3-3 again. 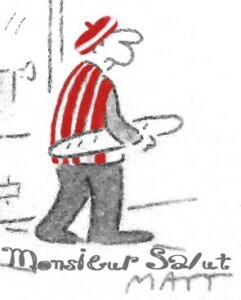 Sunderland 0 Accrington Stanley 1. Oops, that’s next season. 2 – 0 should suffice on Saturday. 2-1 to the lads. No clean sheet. Still can’t keep a clean sheet. I think that I’ll go for 1-1. We couldn’t keep a clean sheet if the goalies life depended on it. I can’t stop now, can I? I shall be there to witness the nerves and home (dis) advantage result in us being 3-0 down before a Fletcher hat trick, aided by a deflection off a low flying pig inspires us to that magical 4-3 win, with Camp (or more likely the restored Ruiter) bagging the winner. Yippee!! The Lads to win 1-0, home win and a clean sheet ! .